Those who have been making sweet potato casseroles for a long time are always looking for new ways to make them. 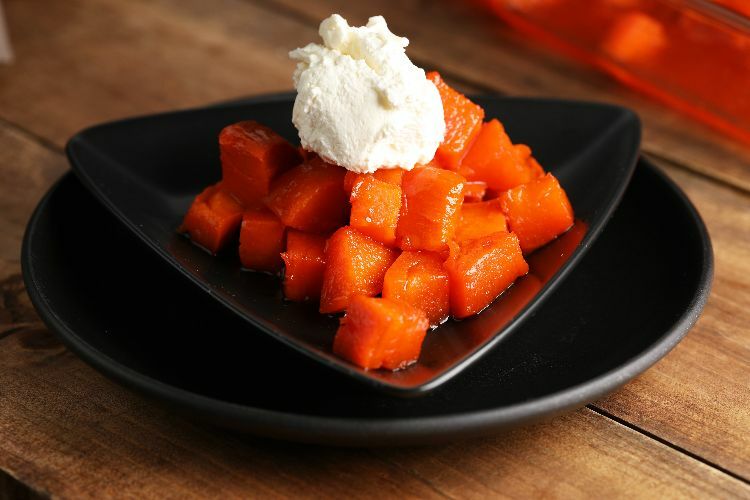 The recipe below fits the bill, thanks to combining sweet potatoes with cinnamon candy hearts. Other recipes call for adding sugar, but adding actual candy is harder to imagine. Stop trying to imagine it and just do it! It feels weird, from beginning to end, but the taste in the end result is undeniable. It doesn't taste like cinnamon candy hearts. Instead, it just tastes like delicious sweet potato casserole with a fair amount of spicy cinnamon and a lot of the sweetness we've all become used to. Give it a shot – you won't be sorry. 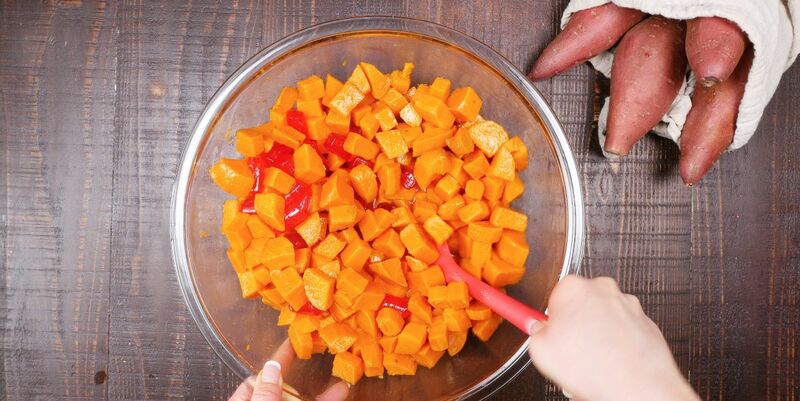 Place sweet potatoes in a saucepan. Fill with just enough water to cover them by about an inch. Season generously with the salt, turn heat to high and bring to a boil. Reduce to medium heat and lightly boil until sweet potatoes are soft. Drain. In a large bowl, place the butter, sugar, red cinnamon heart candies and hot water. Stir to combine. Add the sweet potatoes and stir. Pour the entire mixture into a 9-by-13 casserole dish and place in the preheated oven. Bake for 60 minutes or until the sweet potatoes have started to turn golden brown and the candy has melted.